A free, one-night screening of the documentary "Dealt" will be at 7 p.m. Friday, Jan. 4, in The Cole Art Center @ The Old Opera House. NACOGDOCHES, Texas - The Stephen F. Austin State University School of Art and the Friends of the Visual Arts will present a free, one-night screening of the documentary "Dealt" at 7 p.m. Friday, Jan. 4, in The Cole Art Center @ The Old Opera House in downtown Nacogdoches. 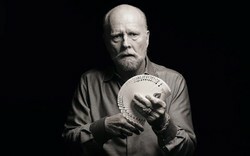 Winner of the SXSW Audience Award for Documentary Feature, "Dealt" is the inspiring story of 62-year-old Richard Turner, who is renowned as one of the world's greatest card magicians, yet he is completely blind. In this documentary, Turner traces his journey from his troubled childhood, when he began losing his vision, to present day as he relentlessly pursues perfection while struggling with the reality that his biggest weakness might also be his greatest strength, according to information at www.dealtmovie.com. Directed by Luke Korem, "Dealt" was also an audience winner for Best Documentary Feature at the Dallas International Film Festival in 2017 and an audience winner for Documentary at the Independent Film Festival of Boston, also in 2017. The film runs 85 minutes.